The use of inverse modeling for quantifying emissions of greenhouse gases is increasing. Estimates are very difficult to evaluate objectively, however, due to limited atmospheric observations and the lack of direct emissions measurements at compatible scales. Diagnostic tools have been proposed to partially circumvent these limitations. 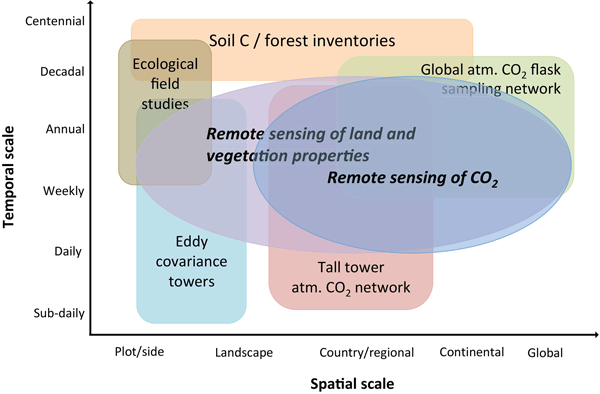 This paper presents the first systematic review of the scope and applicability of these tools for atmospheric inversions of long-lived greenhouse gases. Plankton models have become an integral part in marine ecosystem and biogeochemical research. These models differ in complexity and in their number of parameters. How values are assigned to parameters is essential. An overview of major methodologies of parameter estimation is provided. Aspects of parameter identification in the literature are diverse. Individual findings could be better synthesized if notation and expertise of the different scientific communities would be reasonably merged. We reviewed recent efforts to estimate state- and national-scale carbon dioxide and methane emissions from individual anthropogenic source sectors in the United States. State and federal greenhouse gas regulations almost always target reductions from specific source sectors, and reliable emission estimates are important to support and evaluate these policies. We also describe a number of forward-looking opportunities that would improve sector-specific estimates. This work extends previous calculations of carbon dioxide sources and sinks to take account of the varying quality of atmospheric models. It uses an extended version of Bayesian statistics which includes the model as one of the unknowns. I performed the work as an example of including the model in the description of the uncertainty. Model projections of the response of the terrestrial biosphere to anthropogenic emissions are uncertain, in part due to unknown fixed parameters in a model. Data assimilation can address this by using observations to optimise these parameter values. Using multiple types of data is beneficial for constraining different model processes, but it can also pose challenges in a DA context. This paper demonstrates and discusses the issues involved using toy models and examples from existing literature. The marine cycle of calcium carbonate (CaCO3) influences the distribution of CO2 between atmosphere and ocean, and thereby climate. We constrain export of biogenic CaCO3 (globally: 0.72–1.05 Gt C yr−1) and dissolution within the water column (~ 80 %) in a novel Monte Carlo set-up with the Bern3D model based on alkalinity data. Whether CaCO3 dissolves in the upper ocean remains unresolved. We recommend using constant (saturation-independent) dissolution rates in Earth system models.